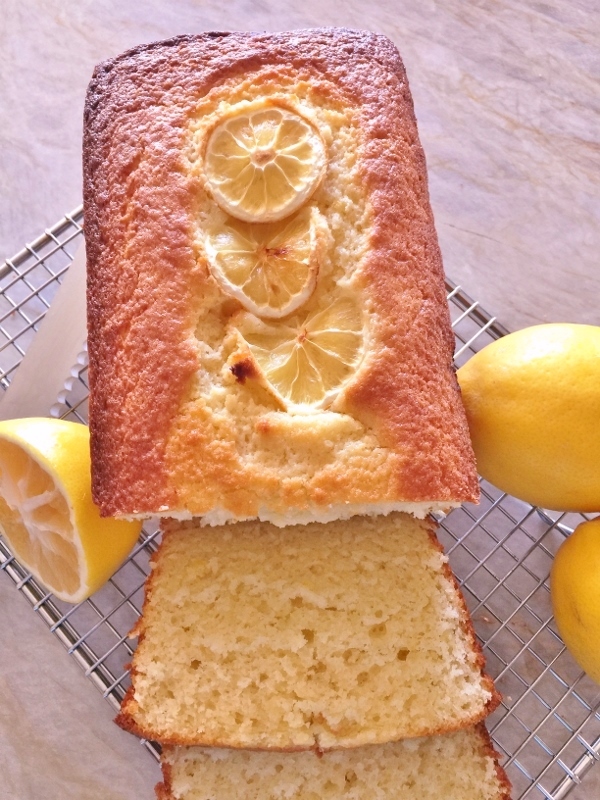 Meyer Lemon Quick Bread - Recipe! - Live. Love. Laugh. Food. 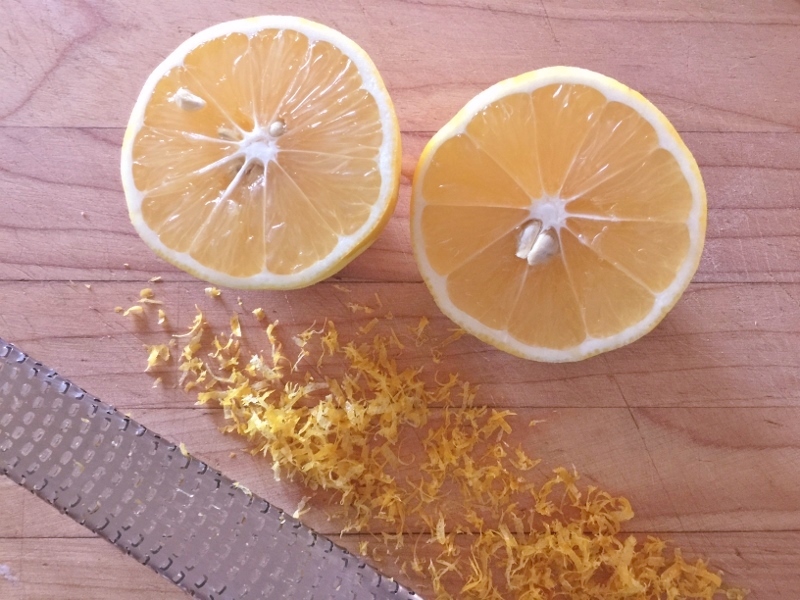 Meyer Lemons are a cross between a lemon and a Mandarin orange and have a pleasant sweetness that is special to this fruit. These gentle citrus flavors are tangy and offer a unique freshness when squeezed over fish or chicken, or added to vinaigrette and baked goods. I can’t tell you how many men in my family e.g. the Bell boys, love Da-Lemon. We have an inside joke at all holidays and gatherings about who forgot the lemon dessert! If you have lemon-lovers in your life, this bread is a nice treat because it’s not overly sweet, it has the perfect balance. 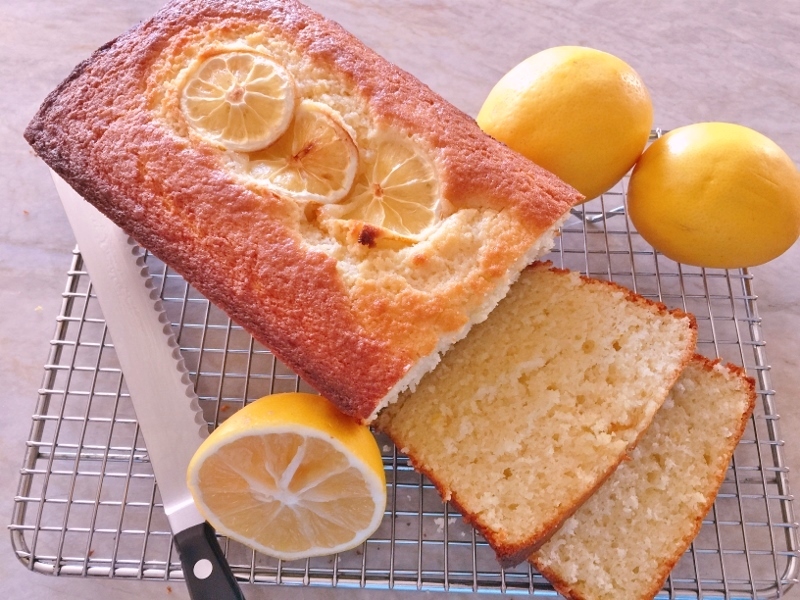 Baking with Meyer Lemons is especially delightful, not only for the taste, but the juice softens the crumb and gives it a cake-like texture. 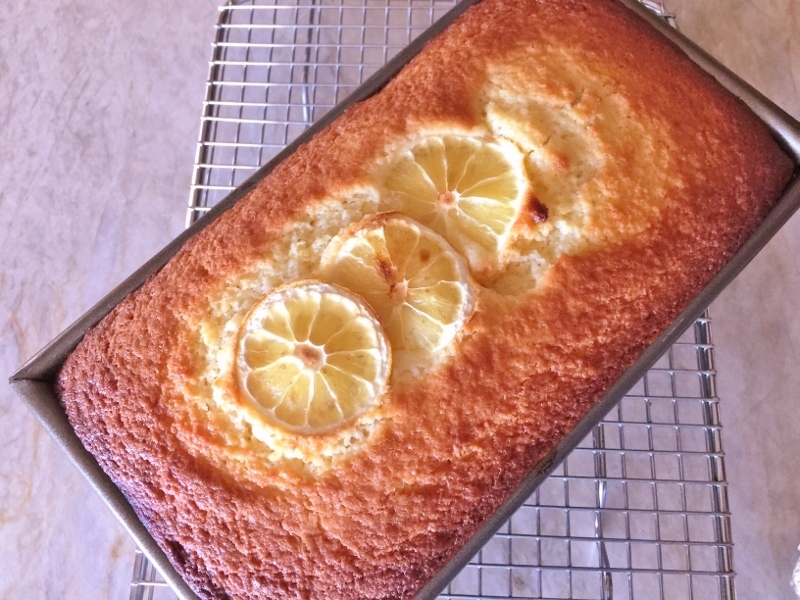 Sometimes it’s hard to tell the difference between a quick-bread or cake, especially in this lemon bread, but I think you’ll agree – it really doesn’t matter what you call it. I love to serve this bread for breakfast, as a casual dessert, or with tea in the afternoon. Also, it wraps up nicely as a gift – so surprise a lemon lover. 1. Preheat oven to 350 degrees. Grease 9-inch loaf pan, set aside. Zest lemon and slice in half. In a stand mixer or large bowl, mix eggs, oil, zest and juice of lemon for 1 minute. Add sugar, flour, baking powder, baking soda and salt, mix for 30 seconds. 2. While mixer is running, pour in buttermilk and mix for 30 seconds. Remove bowl and stir by hand, until combined. 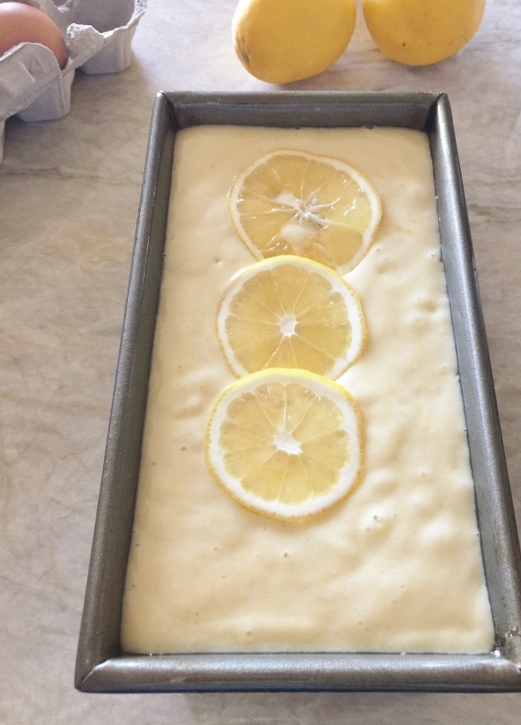 Pour into prepared pan and place lemon slices on top. Bake for 40-45 minutes or until toothpick comes clean. 3. Let bread cool in pan for 20 minutes. Loosen around perimeter with knife and invert onto rack to cool to room temperature. Slice and serve, Enjoy! 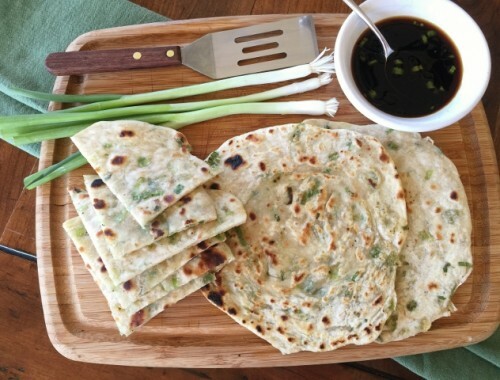 Scallion Pancakes – Recipe! Celebrate Chinese New Year! 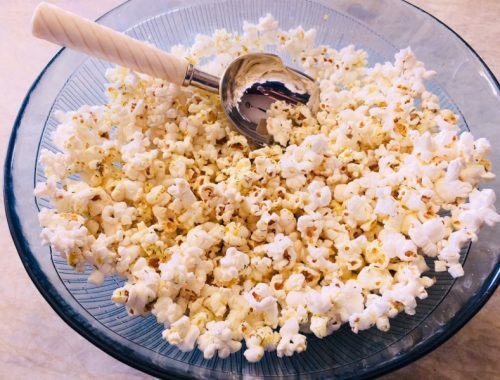 Herby Olive Oil Popcorn – Recipe! 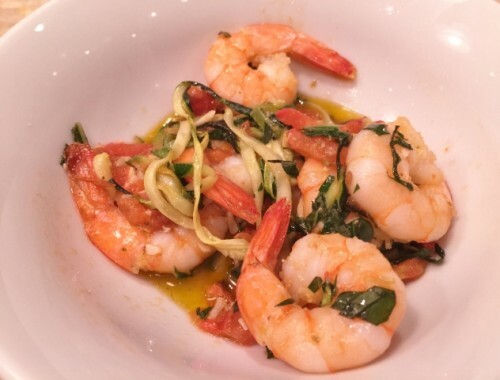 Garlic Shrimp & Linguine Zoodles – Recipe! Whole30, Paleo & Low-Carb Friendly!